DUBAI, United Arab Emirates — Three Saudi women were granted temporary release from prison on Thursday, nearly a year after they and other women's rights activists were detainedby security forces who report to the kingdom's powerful crown prince. Amnesty International said the release was a "positive step," but called for all charges against them and other women's human rights defenders be dropped. 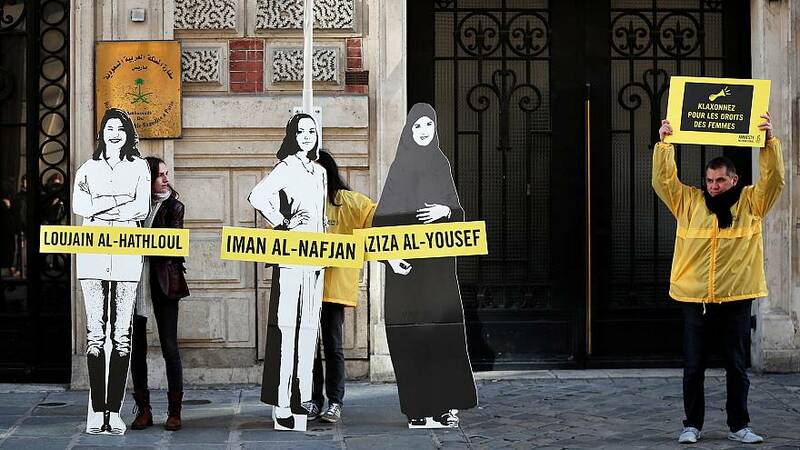 "This is a long overdue step as these women should never have been jailed in the first place and their release should certainly not be on a 'temporary' basis," said Amnesty's Middle East director of research in a press release.